Burn out the competition with the Columbia 300 Swerve GT. 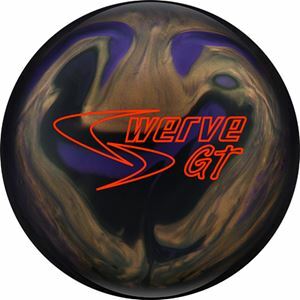 Featuring HyperSHOCK technology which delivers maximum energy right where you want it, the Swerve GT continues the Swerve Line with the low RG/High differential Swerve core. Covered with the Reflex Hybrid coverstock, the Swerve GT delivers motion between where the Swerve and Swerve FX left off. Finished with a Matte 500/2000 Abralon surface, the Swerve GT brings powerful overall hook to the game like never before. Our NEW Hybrid Reflex cover offers the best of both worlds with strong mid lane traction and down lane continuation.